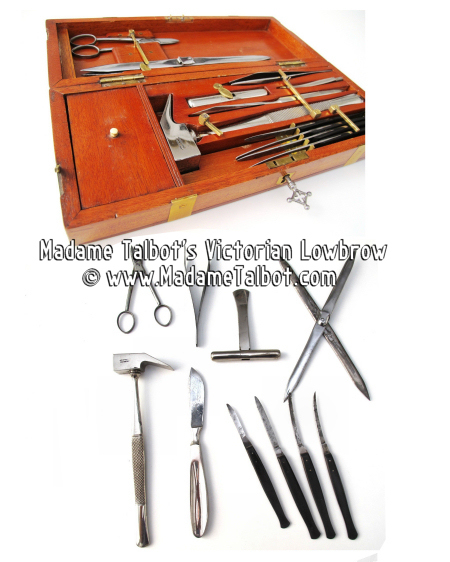 Complete set of English dissection tools from the 1860s. Beautiful wood case with well aged patina. Locking mechanism works well with original key.